The second installment of the “Fantastic Beasts” franchise, “The Crimes of Grindelwald” is packed with plot developments that are hard to follow or care about. The franchise, a prequel to the “Harry Potter” series, focuses on Newt Scamander (Eddie Redmayne), a magizoologist who rescues and takes care of magical creatures. 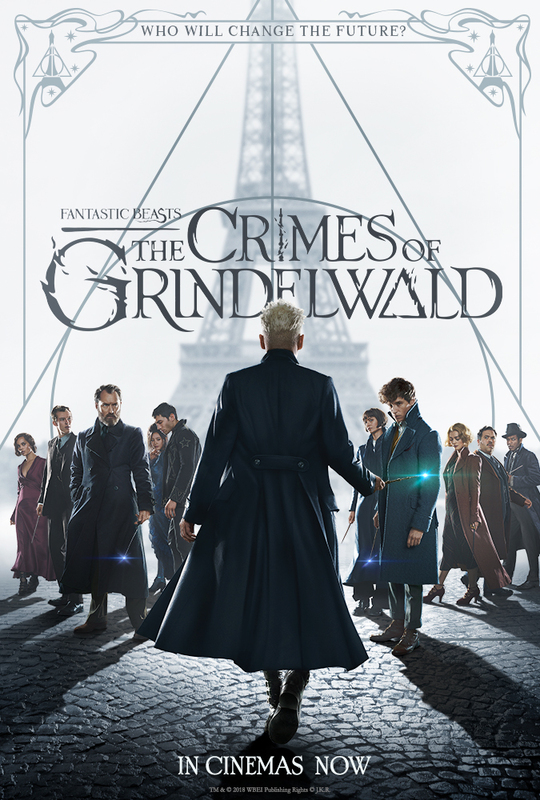 The movie, set in 1927, starts with a young Albus Dumbeldore, (played by the charismatic Jude Law) giving a difficult mission to Newt - to go to Paris and stop Grindelwald (Johnny Depp) who wants the pure-blooded wizards to rule and take over both the magical and non magical worlds. The movie brings in a few new characters, Newt’s brother Theseus (Calum Turner) and his fiancé Leta Lestrange (Zoe Kravitz) who Newt liked back in Hogwarts. Also Nagini (Claudia Kim) who was Voldemort beloved snake in the “Harry Potter” books. She is a cursed maledictus who turns into a snake and will eventually remain in that form. The old team from the first film is also back, with Auror Tina Goldstein (Katherine Waterston) - Newt’s romantic interest - her sister Queenie (Alison Sudol), and muggle friend Jacob Kowalski (Dan Fogler). All of the characters are also trying to find Credence Barebone (Ezra Miller) whose true identity is still unknown. There is no denying that J.K. Rowling is a master storyteller, and the film proves that with a lot of plot developments and characters’ backstories, perhaps too much of it. It was hard to follow and I didn’t feel emotionally connected with the new characters or the old ones for that matter. The film is visually great, probably better than the first one but it jumps from scene to scene without much excitement. I believe that the “Fantastic Beasts” series will be great as books so J.K. Rowling can expand and spend the time to develop the plot instead of throwing everything at you in a two-hour movie. I still have hope that the next movies will enchant me as much as the “Harry Potter” books did.